There are chocolate brownies. And then there are chocolate brownies. And then there is THIS chocolate brownie. People rate their chocolate brownie making ability really highly. And I've certainly tasted some goodies in my time. But believe me none, bar none, beat this one! 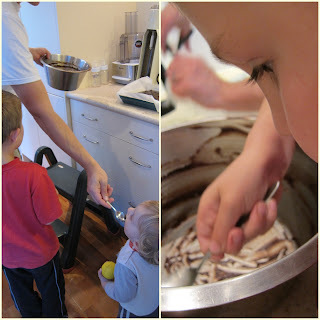 It's been a regular party/dessert pleaser in our household for the past few years. I reckon there's two ends of the brownie sprectrum - the soft, fluffy almost cake-like variety at one end, and the ooey-gooey in the middle at the opposite end. This one definitely errs on the ooey-goey side of the equation, so if you love your brownie at this end of the spectrum it'll definitely rock your world! 3. 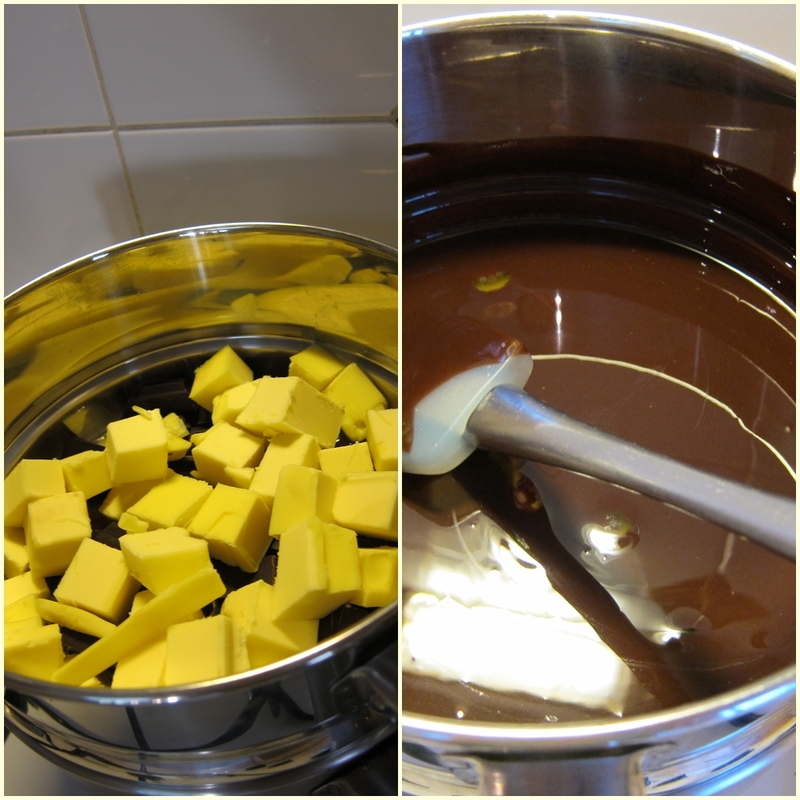 In a large bowl over simmering water, melt the butter and 200g of the dark chocolate (all but 2 lines of the block) and mix until smooth. 8. 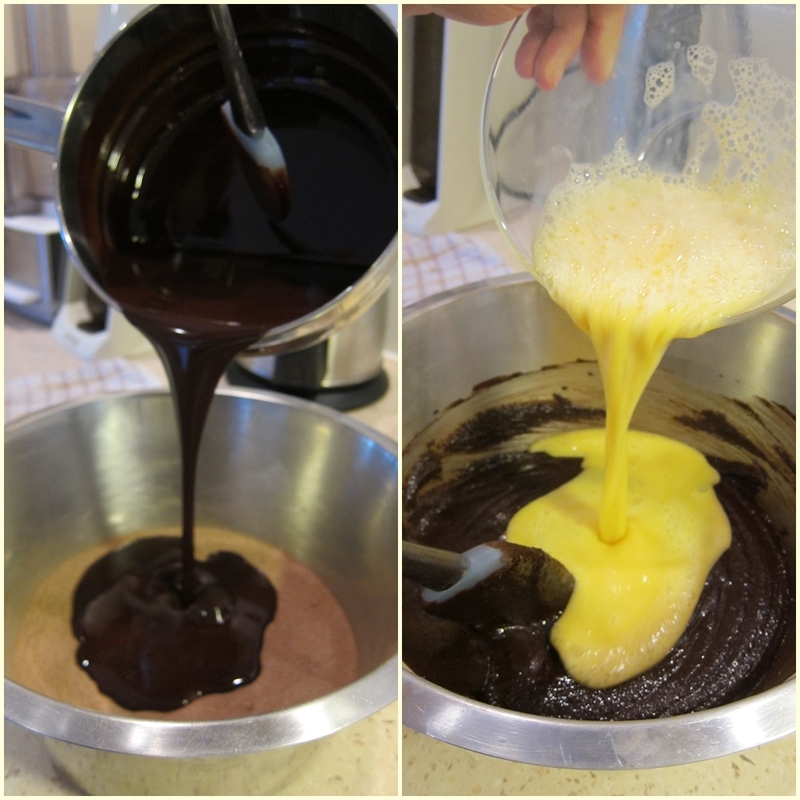 Pour brownie mix into baking tray, and bake for 25-30 minutes depending on your oven. When it's baked, you want the brownie to have formed a crust over the top, firm around the edges but still a bit soft in the middle. Makes about 20 pieces depending on how small you cut it. We freeze most of it in portions to bring out for dessert later. It's amazing heated in the microwave until gooey in the middle again and served with yoghurt or icecream. If chocolate brownie is a favourite in your household, I dare you to give this version a try - you won't be disappointed! I can't promise you it's not full of hundreds (possibly thousands) of calories though. And one thing's for sure, there will be fights to lick the bowl! This brownie is my absolute downfall. Some people run for pleasure, some people run for the happy endorphins. Me? I mostly run so I can eat this brownie! OMG YUM, i started drooling at the first picture! I'm going to have to try this one! Thanks for sharing the recipe! Oh my gosh - that looks the best ever! I think I am just going to have to save that recipe and at least think about baking it (I'm not a baker)!!!! YUMMO! I want some brownie's :) Thanks for sharing. did I miss the POST A FATTENING TREAT today memo? I am SO bookmarking this and making them this weekend. I love that you can freeze them for later too - that's the best! YUM!!! I must make some of this VERY SOON! Thank you! Oh, and er, I must go for a jog soon after....!